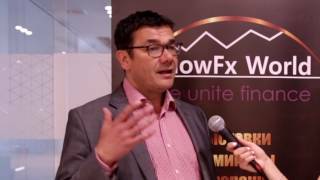 Once again a regular ShowFx World event welcomed all Forex enthusiasts. 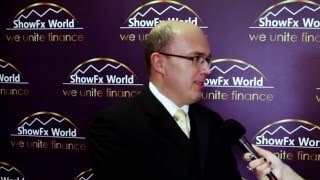 On April 11-12, 2015 the ShowFx World exhibition gave guests the excellent opportunity to communicate and meet representatives of finance companies. Every visitor got to know new services and products as well as up-to-date methods of making money on financial markets. Besides, the exhibition program included seminars held by successful traders and experts in financial markets. Our guests were able to listen to well-known speakers such as Sergey Belyaev, Vladislav Tyukhmenev, Sergey Kostenko, Artur Ogiy, Yulia Afanasyeva, and Gleb Zadoya. The themes of their seminars were devoted to diverse aspects of trading. So every guest, no matter a beginner or professional trader, could discover a lot of helpful and important information. Faithful to the tradition, the ShowFx World event offered a prize draw. Active participants were able to win some great prizes such as Apple iPhone 5S 16Gb LTE, Samsung Galaxy A3 SM-A300F, Samsung Galaxy Tab 4 10.1 SM-T535 32Gb, HTC One mini 2, and Sony Xperia T3 (D5103). We would like to thank everyone who attended the exhibition in Moscow. We are looking forward to meeting you at our next event.